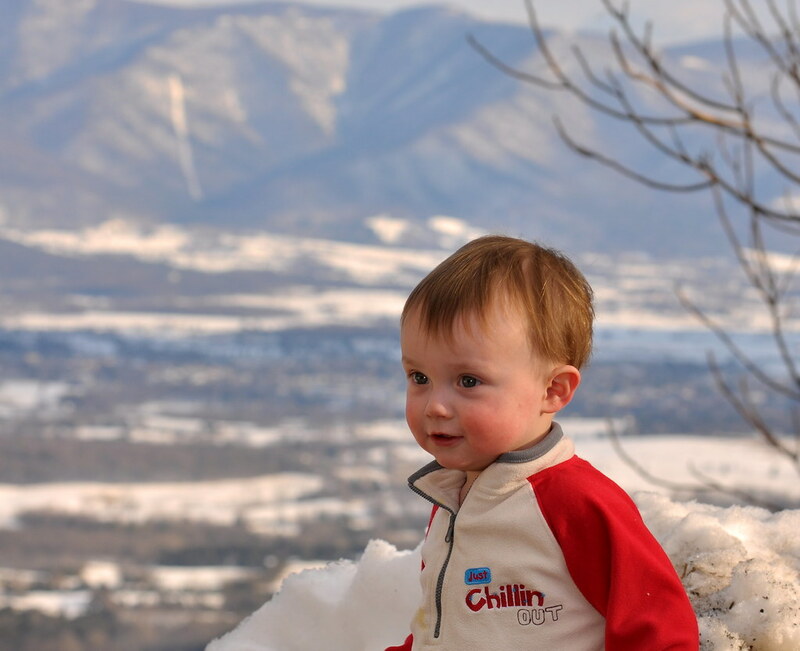 This is baby Aidan's page, which does indeed document many (mis)adventures. 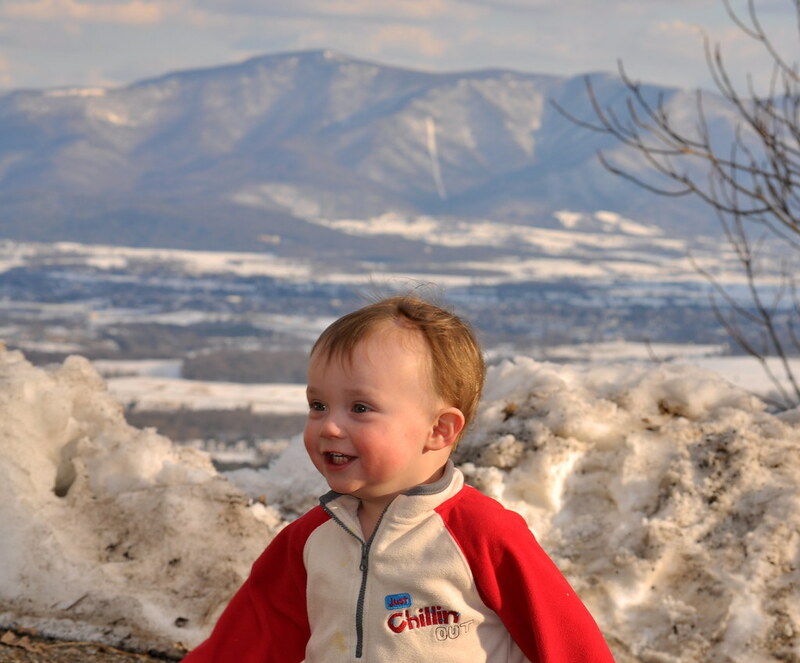 Aidan took in the view across Page Valley to the Blue Ridge, then looked back at me to see what to do next. 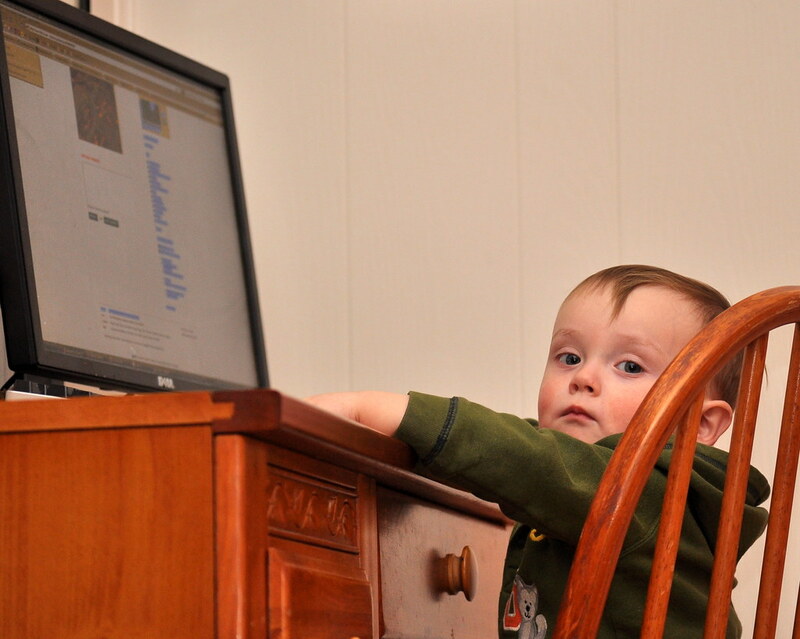 Aidan enjoys helping me post stuff to the website. Sometimes the random button presses really get him somewhere! He usually runs for the computer with every chance he has! Aidan gets his first haircut - it wasn't nearly as traumatic as we expected! 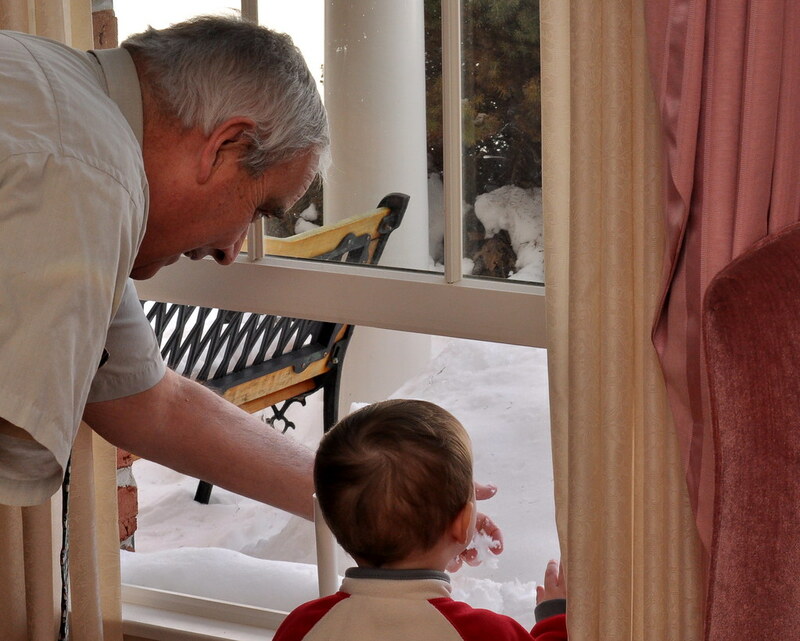 Grandpa shows Aidan just how much snow is heaped in front of the windows. 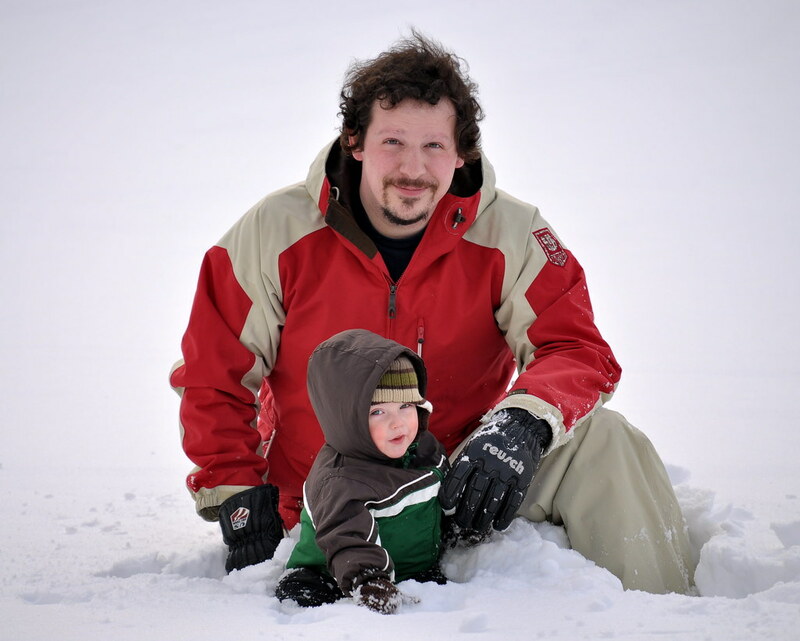 Aidan and I had a deep-snow romp in York. 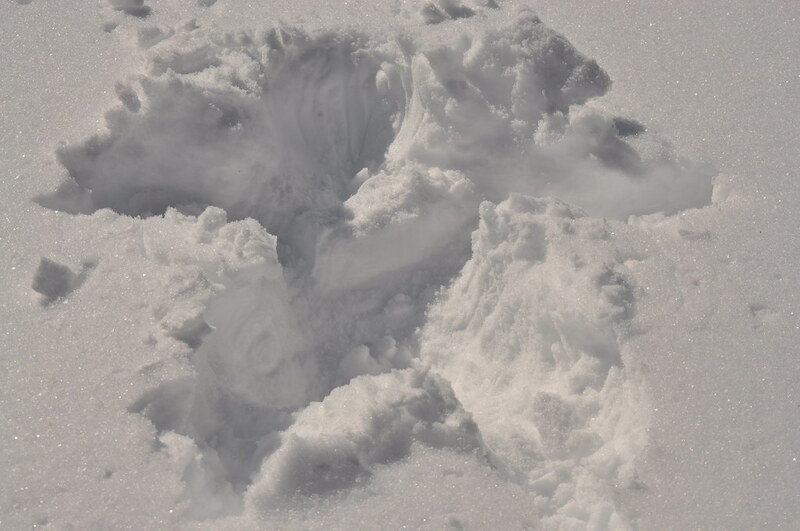 I don't think we will be forgetting this past Winter! 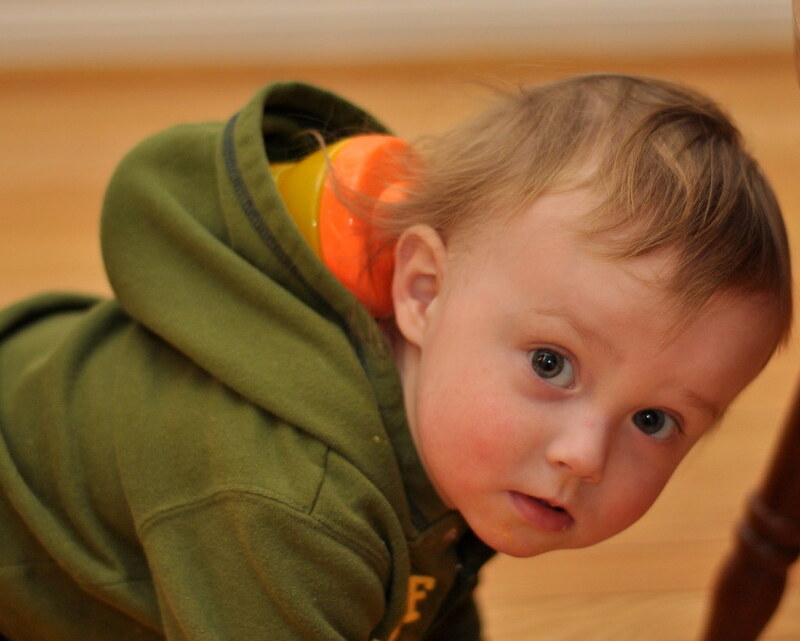 Don't put Aidan's cup in his hood - it could lead to quite an incident! 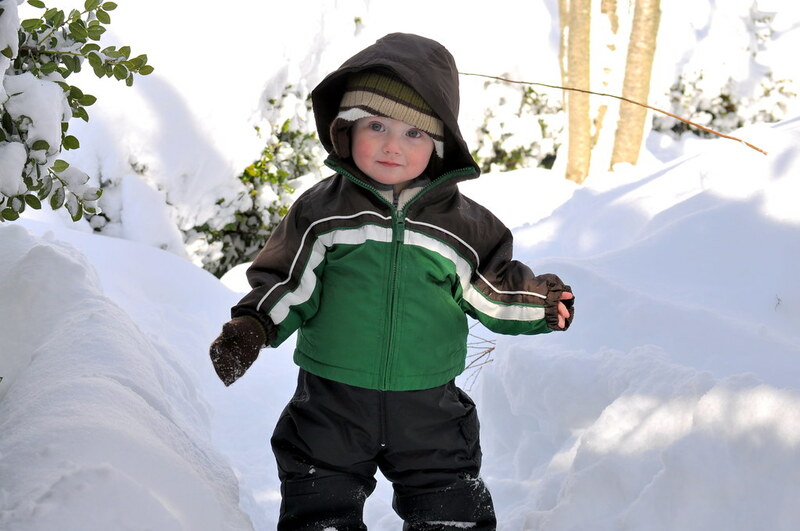 Aidan explores the claustrophobic area between hedges and snow drifts. 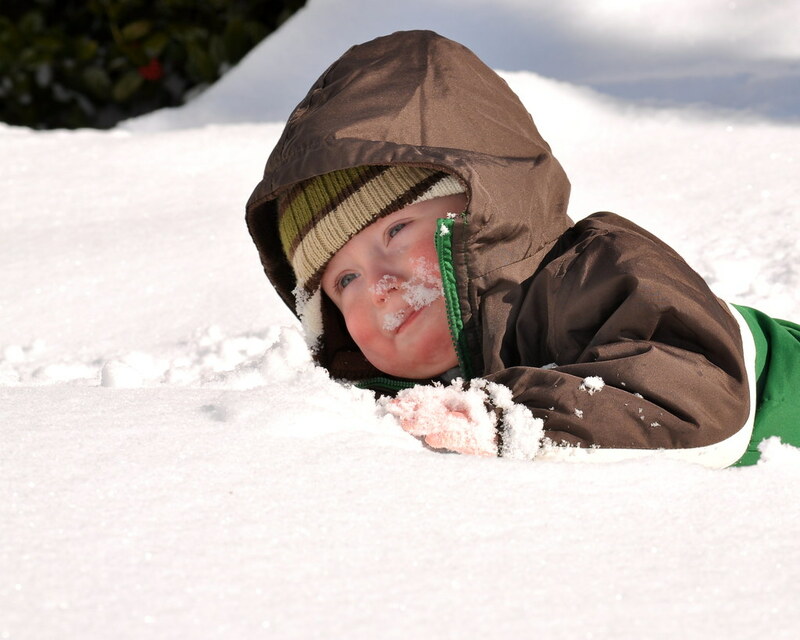 Aidan dives into a drift for the full effect. Moments later, he was quite unhappy! 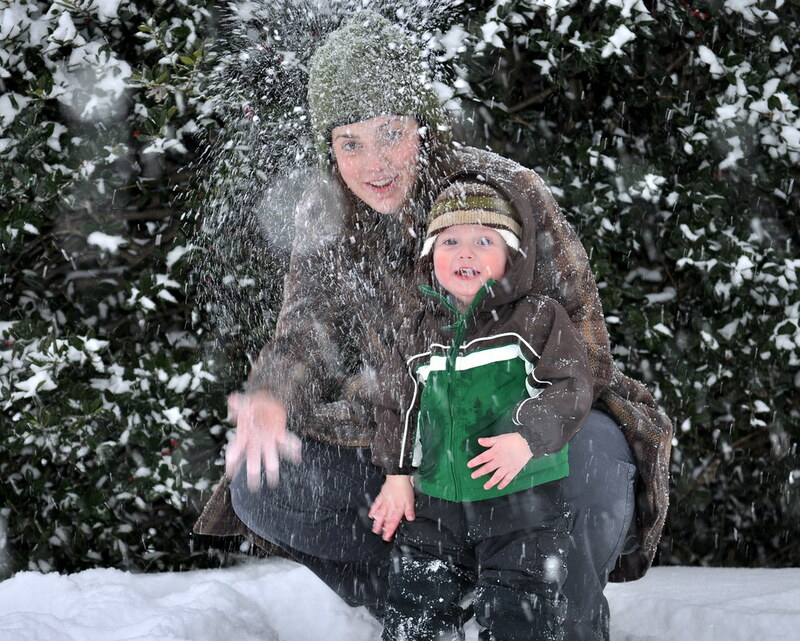 Caitrin and Aidan have a romp during one of the smaller recent snowfalls. He will only keep his gloves on for a few moments, so once they're off we have little time before the cold begins to bother him. Thus these Winter Aidan pictures are a challenge! Aidan is really curious about Fiona, and often gets in really close to deliver a baby smooch, which I haven't captured yet. After we brought Fiona home from the hospital, we were doing some final room configuration. 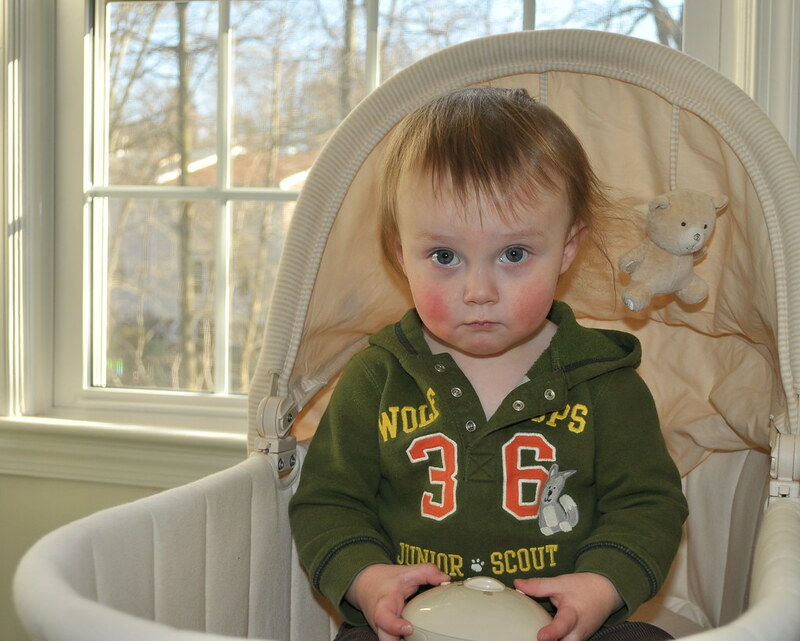 Though this bassinet is for Fiona now, Aidan wanted to revisit his old sleeping area again. Here Aidan is climbing the section of the trail past where we decided to stop. Evidently he wasn't satisfied with our progress, and wanted to see what lay over the next hill. 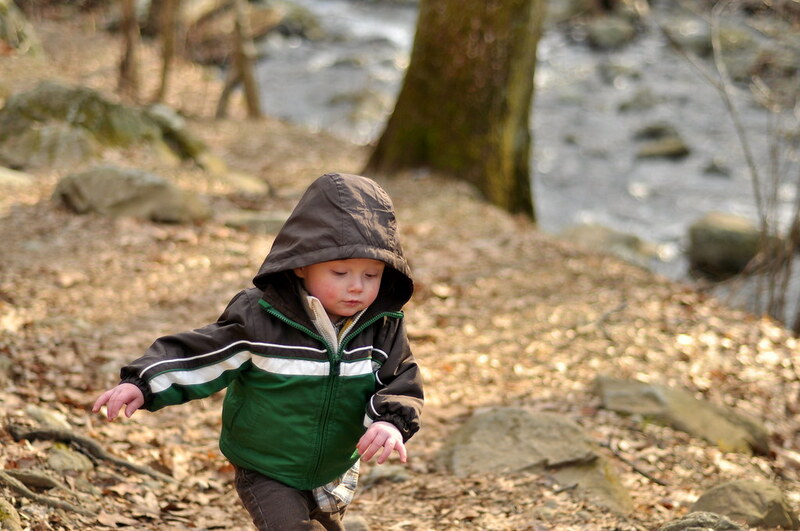 In fact, I had to bring him back down from this height, only for the lad to escape and head right back up the trail! 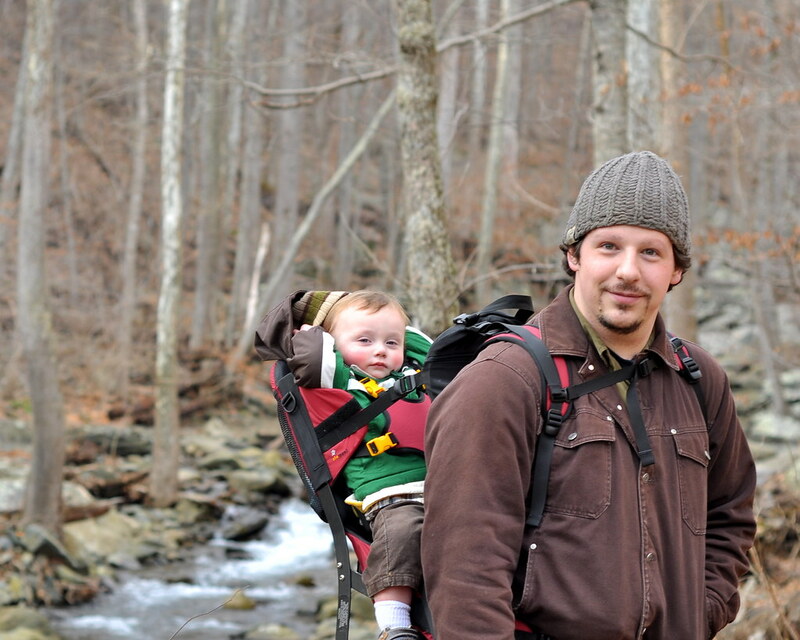 Team hiking in Shenandoah's White Oak Canyon.